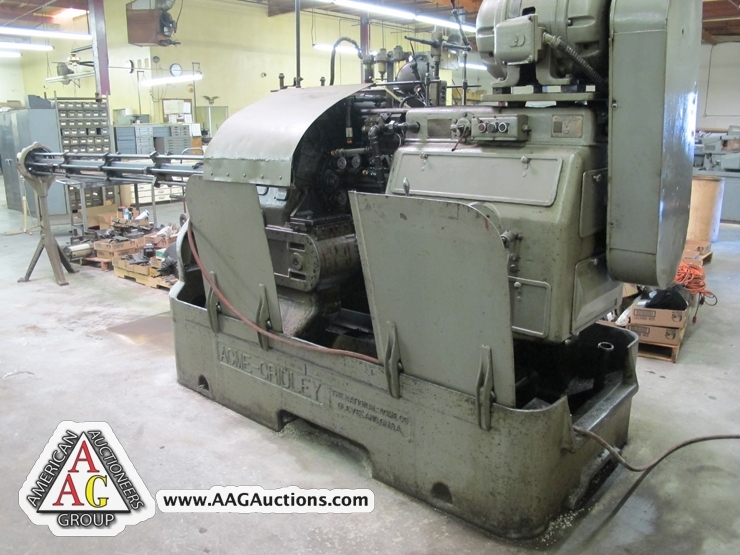 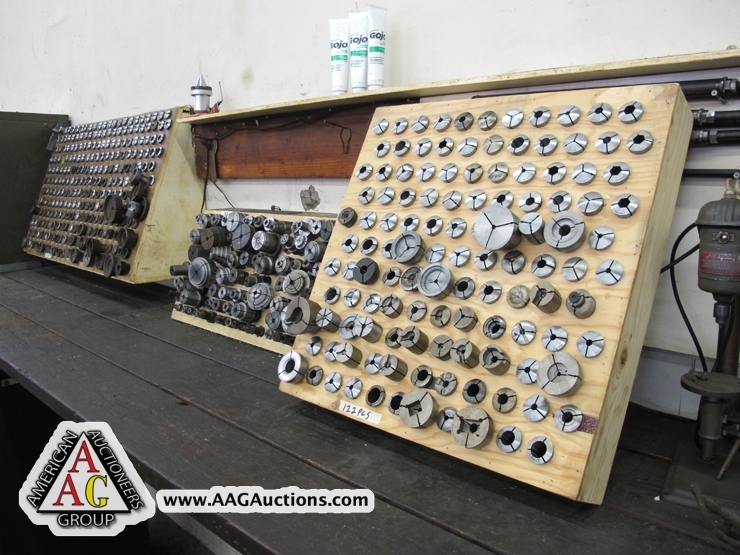 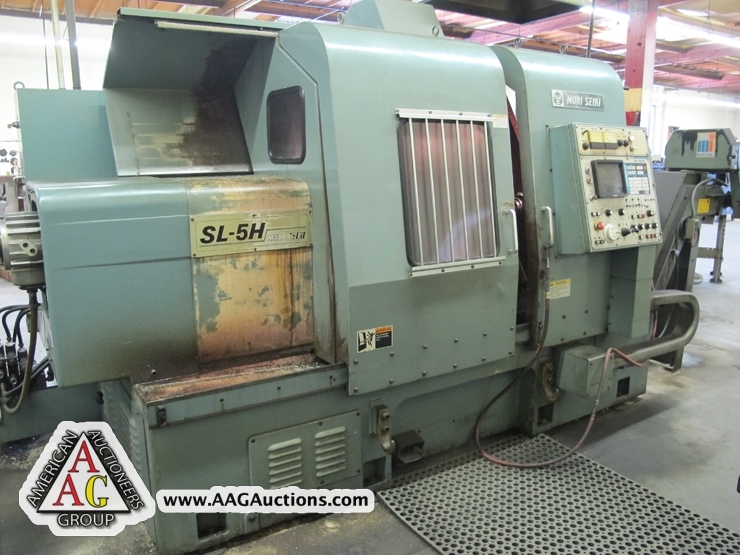 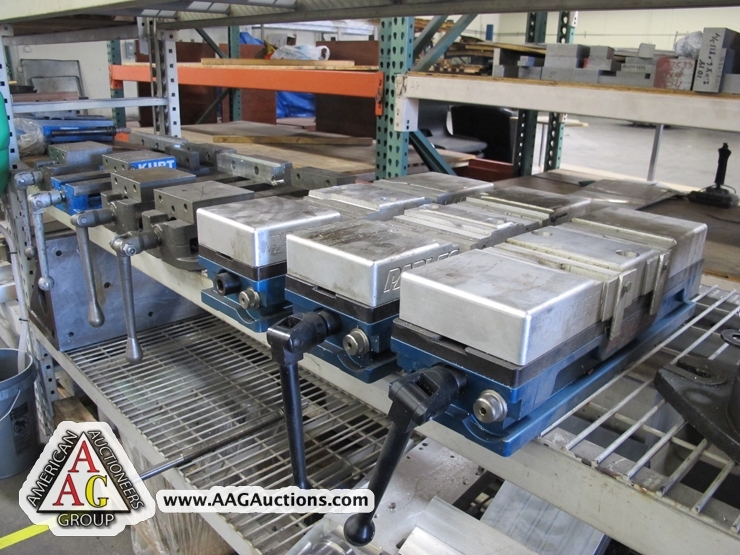 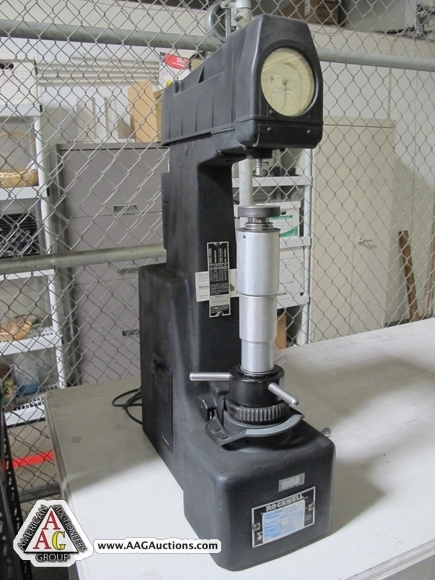 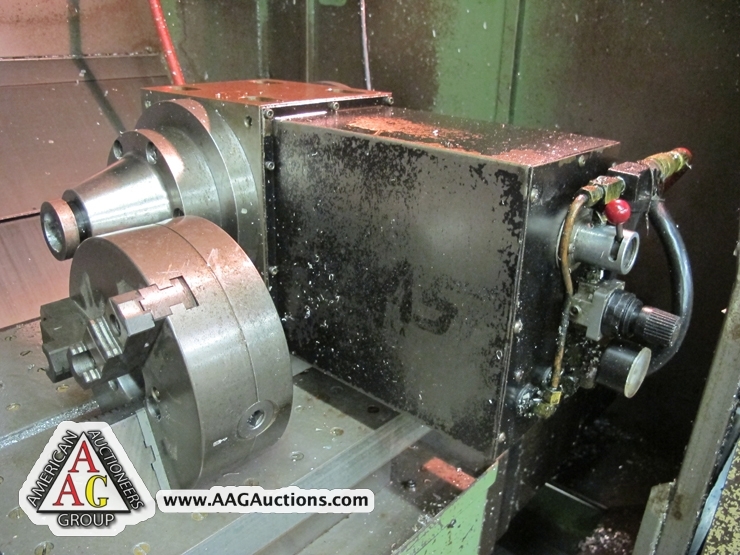 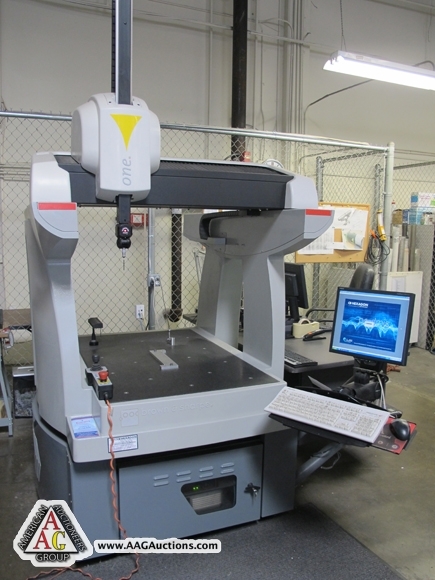 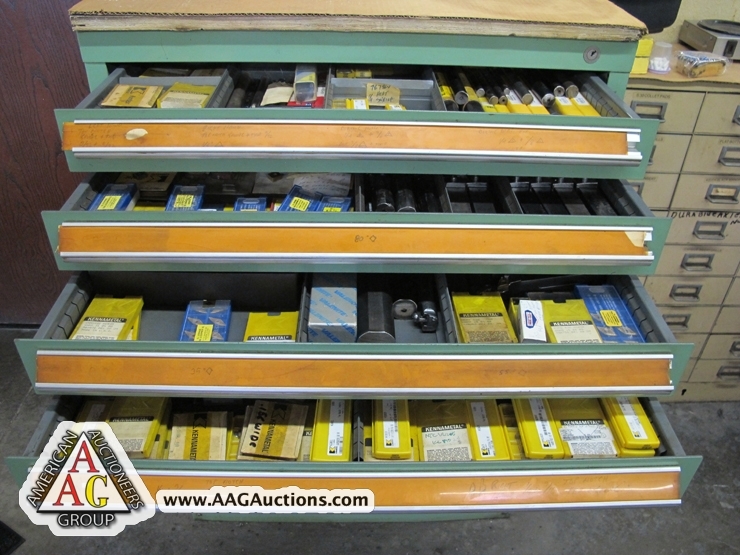 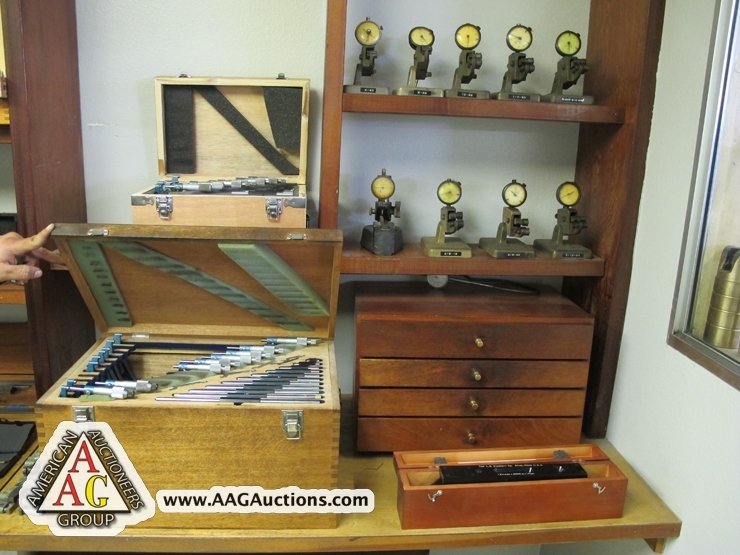 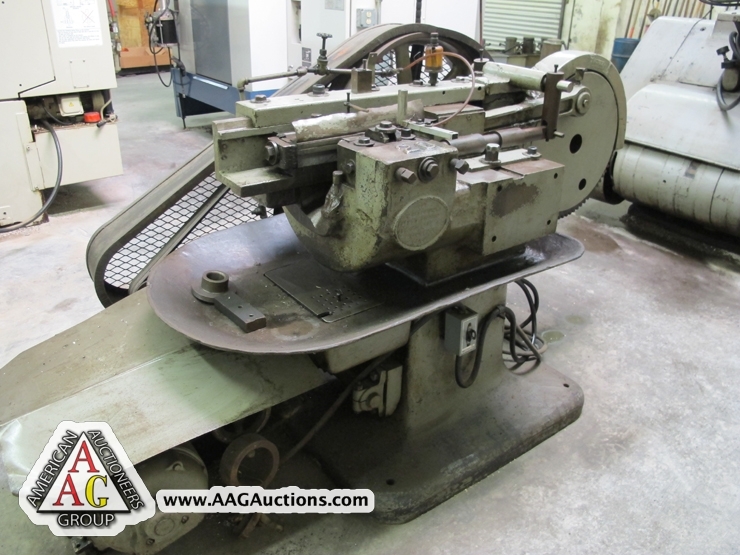 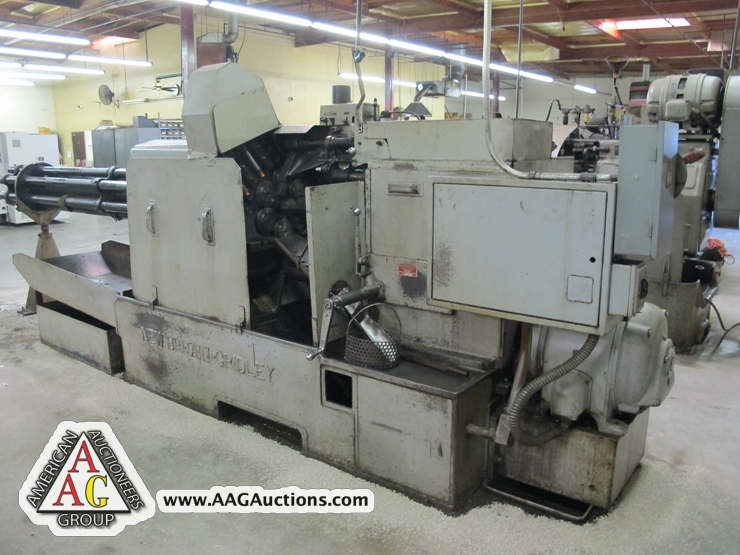 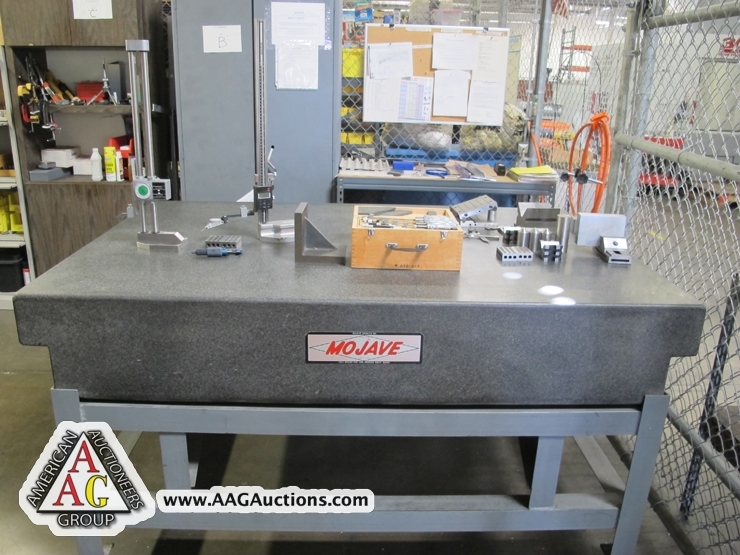 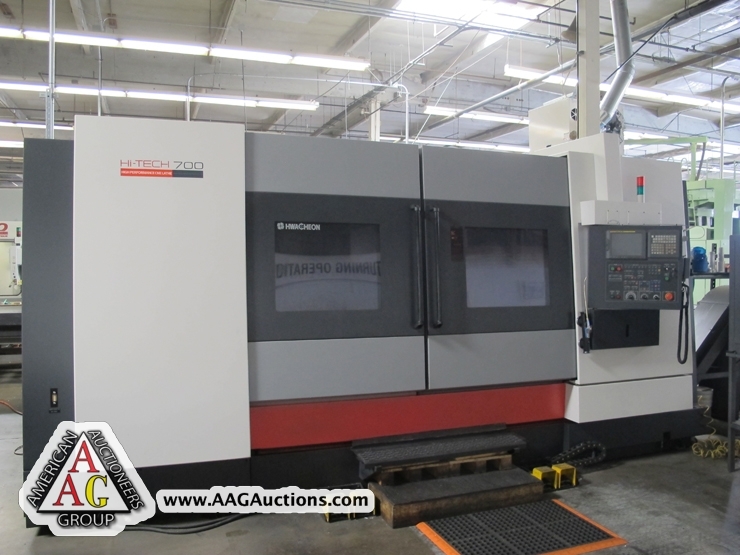 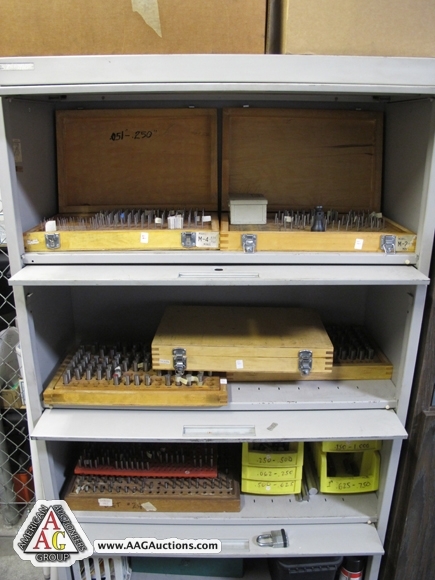 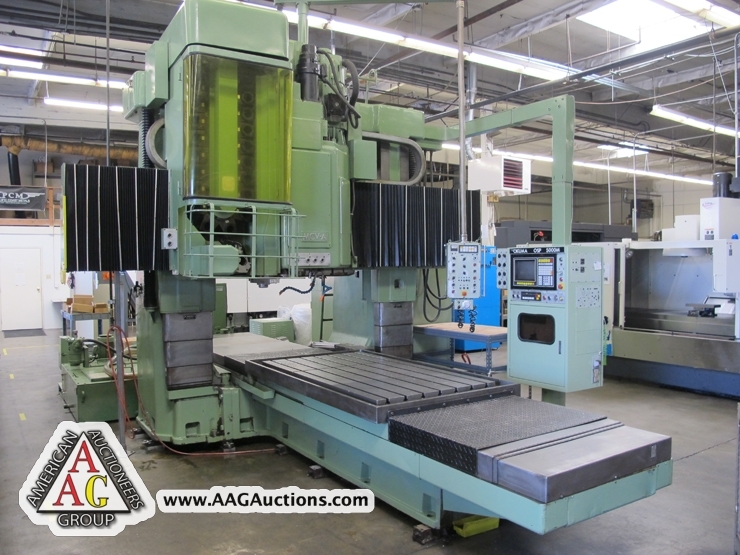 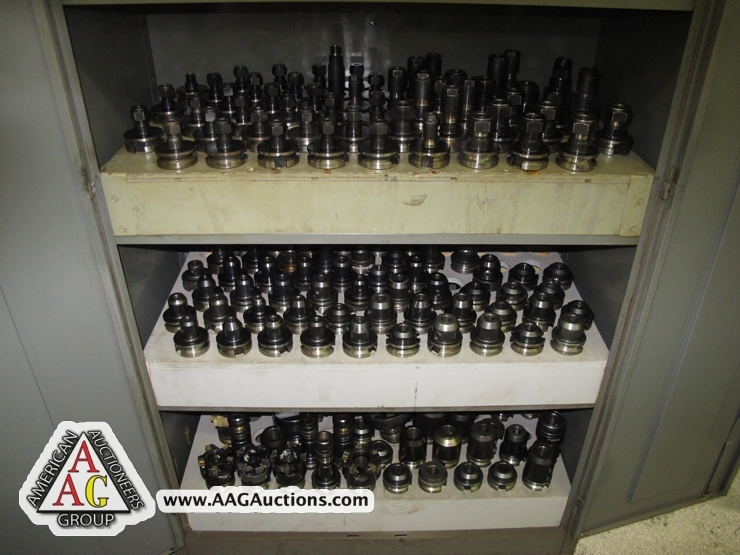 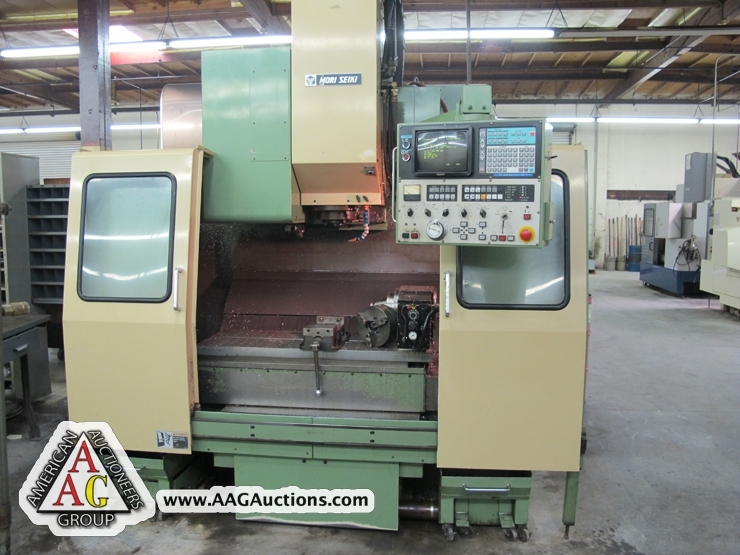 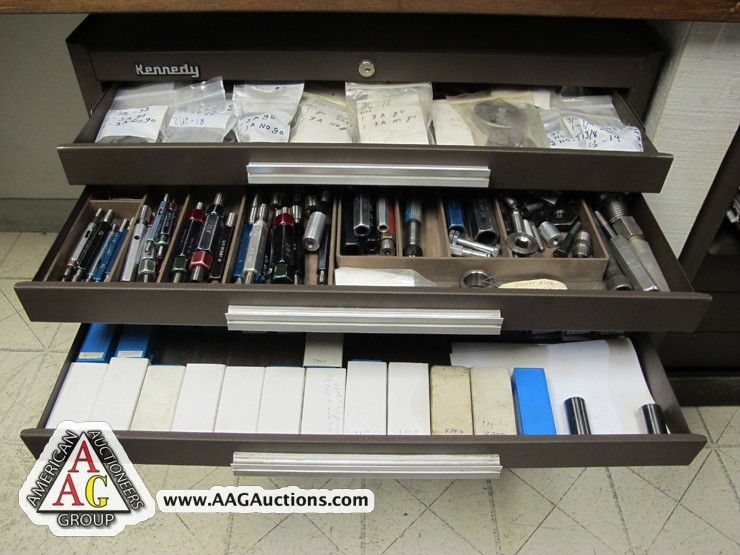 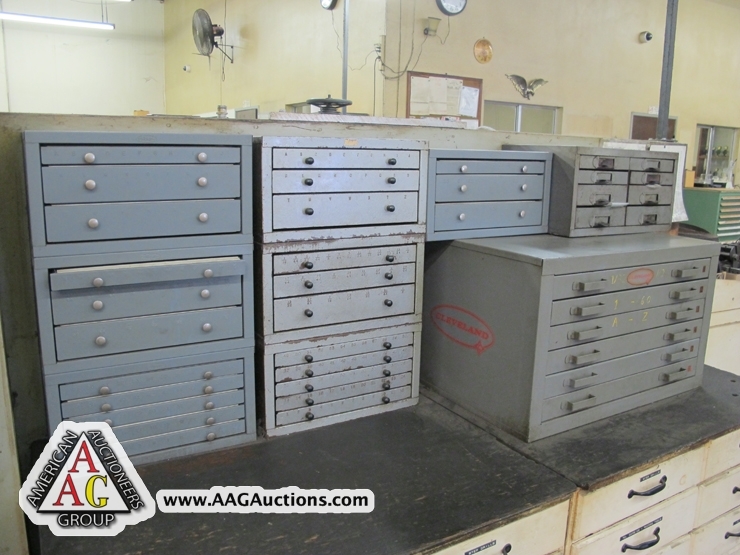 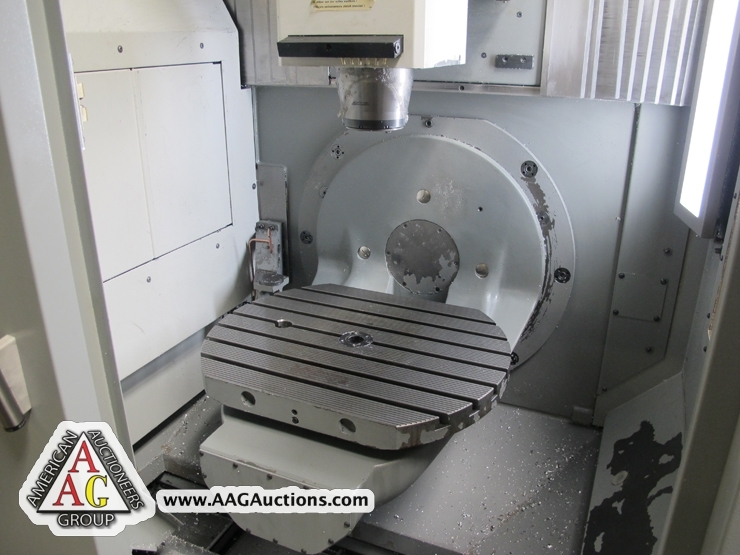 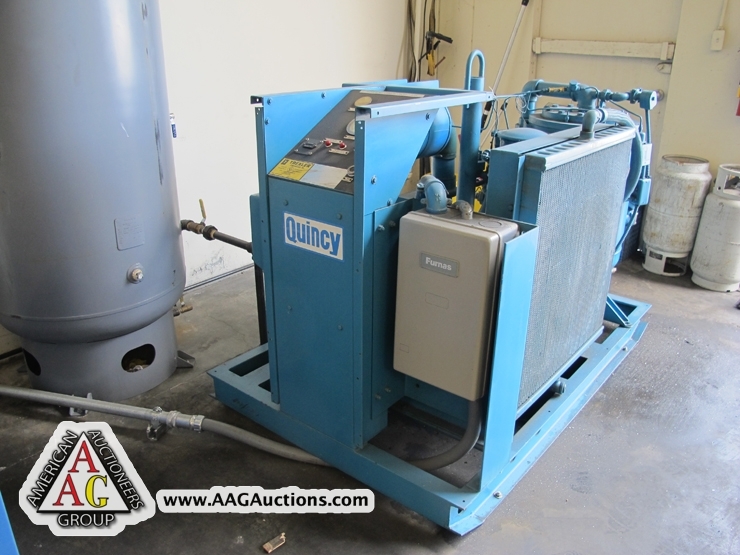 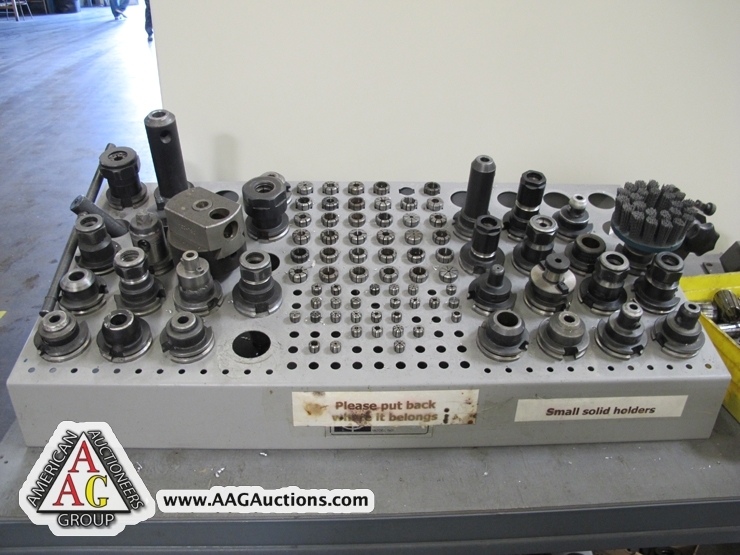 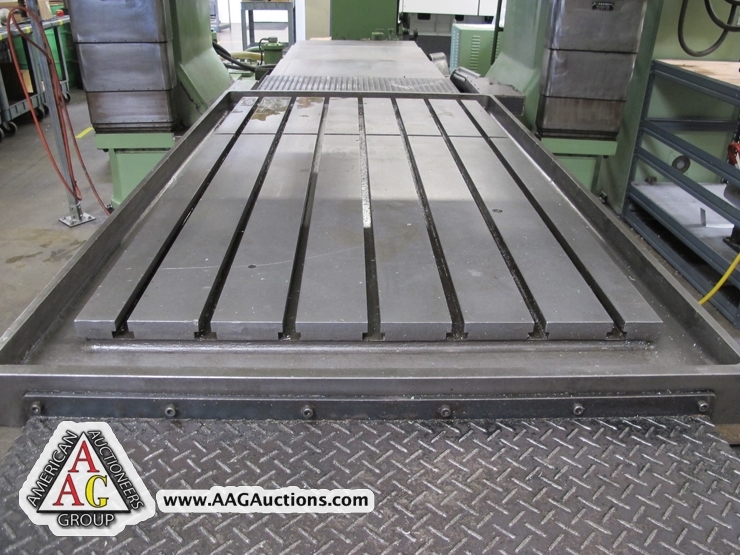 AUCTION DATE: TUESDAY, OCTOBER 9, 2012 – STARTING @ 11:00 A.M.
2006 BROWN & SHARPE MODEL “ONE 7.10.7” CNC CMM 28’’ X 40’’ X 26’’ (XYZ) WITH PC-DMIS SOFTWARE, SPC PRINTER, RENISHAW PH10T PROBE, S/N 0406-7121. 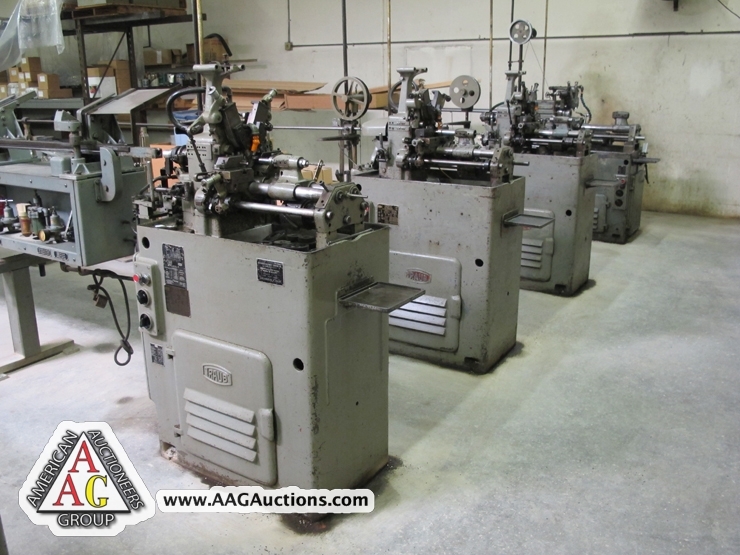 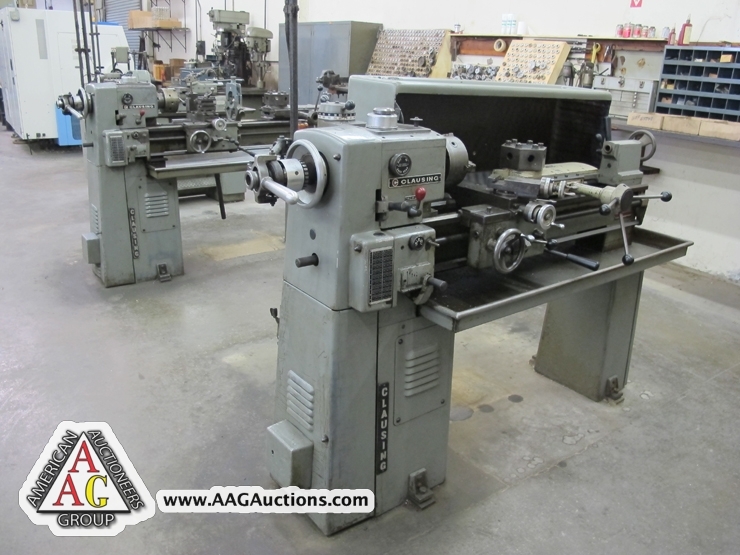 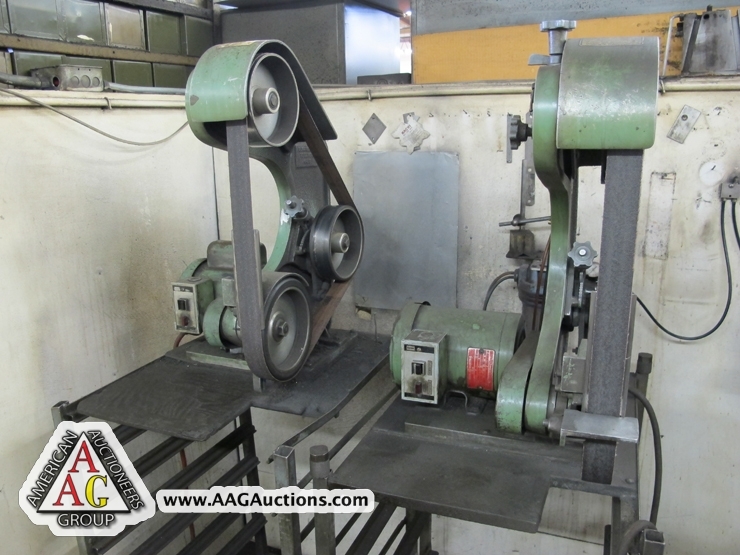 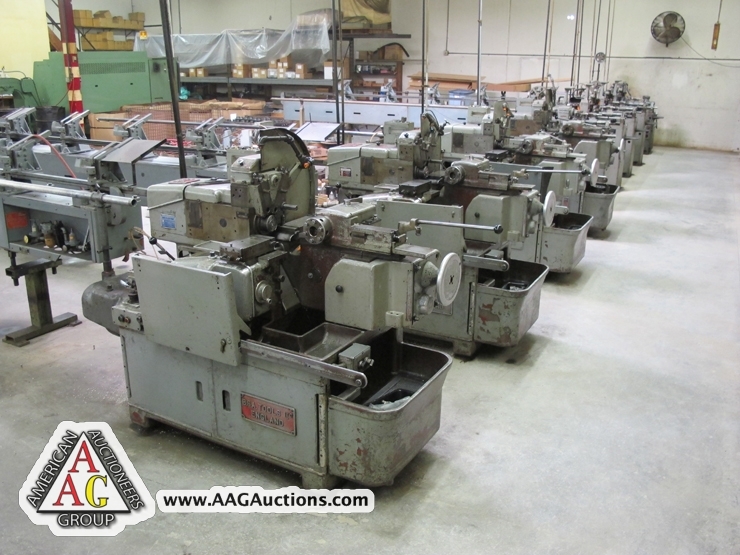 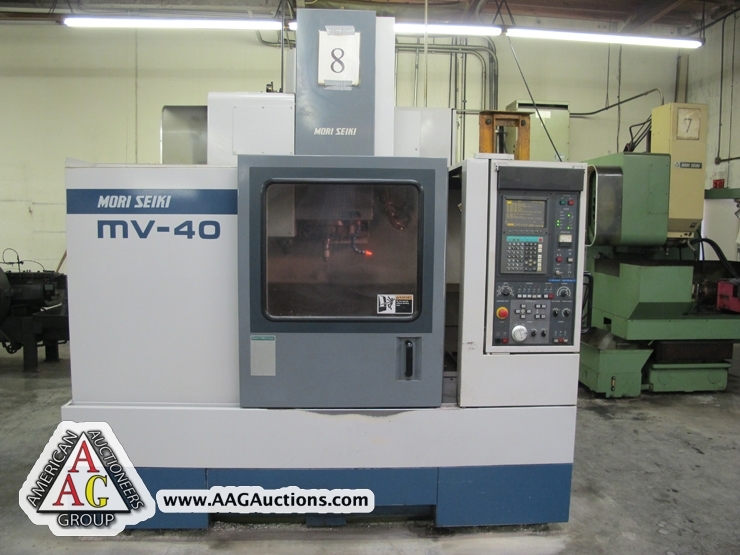 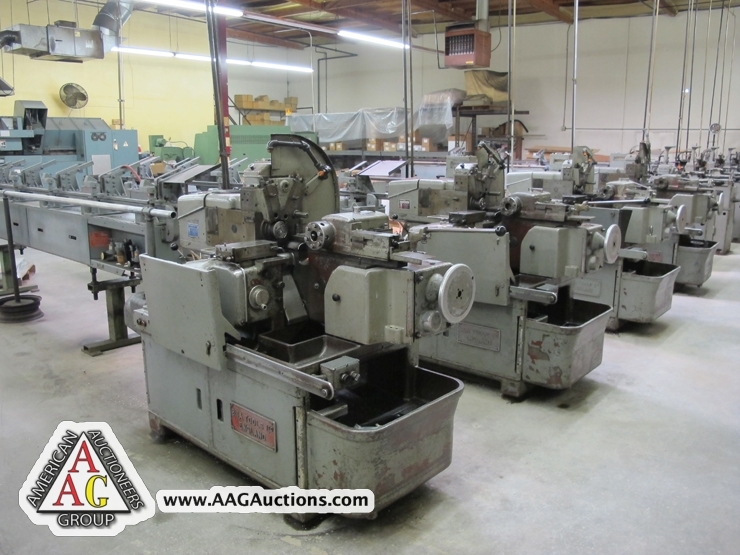 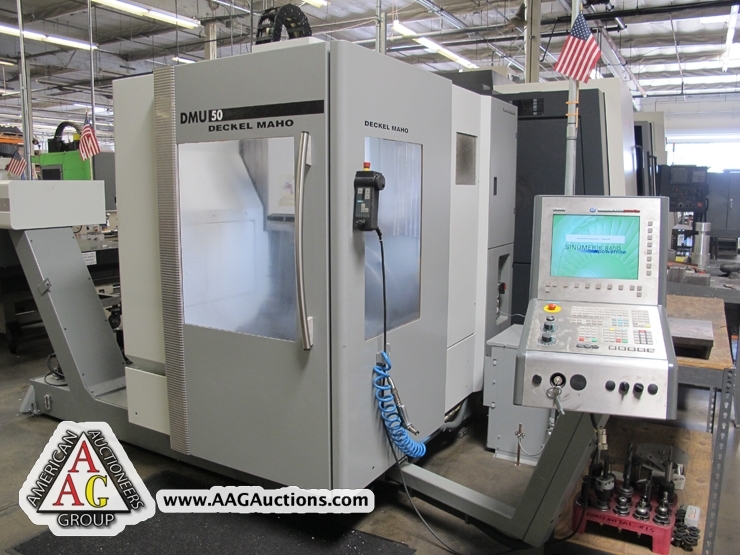 2008 DECKEL MAHO DMU-50 VMC, WITH 3 ACTIVE + 2 INDEXING AXIS, SIEMENS 840D POWERLINE DIGITAL CONTROL, WITH 8000 RPM, 17.4 HP, CT-40, 16 ATC, TABLE SIZE 24.8’’ X 19.7’’ WITH TRAVERSE 19.7’’X, 17.7’’Y, 15.7’’Z, S/N 2482115. 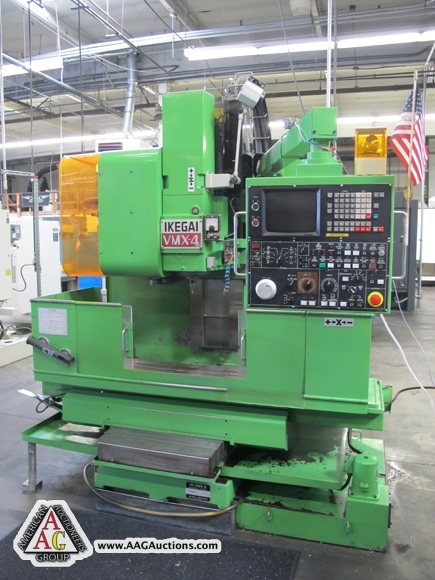 IKEGAI VMX-4 CNC VMC, CT 40, 24 ATC, FANUC 6M CONTROL, 43’’ X 16’’ X 25’’ (XYZ). 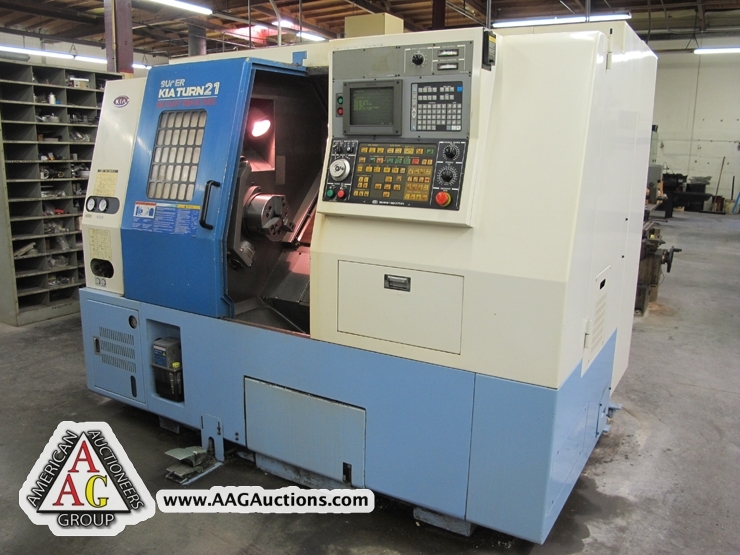 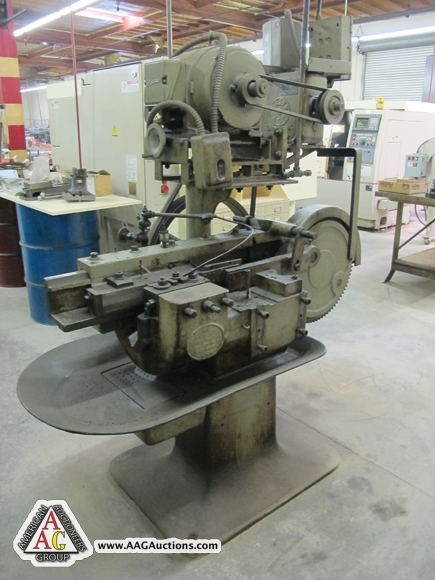 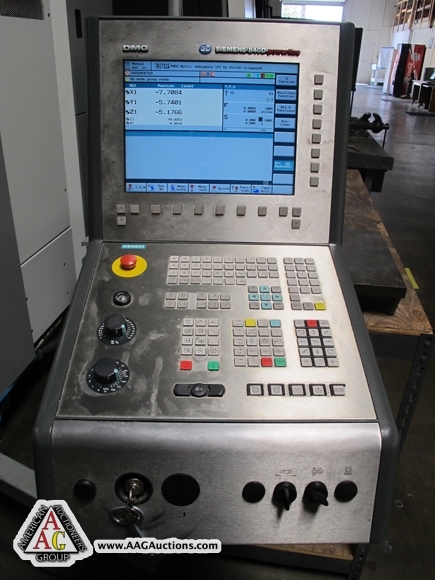 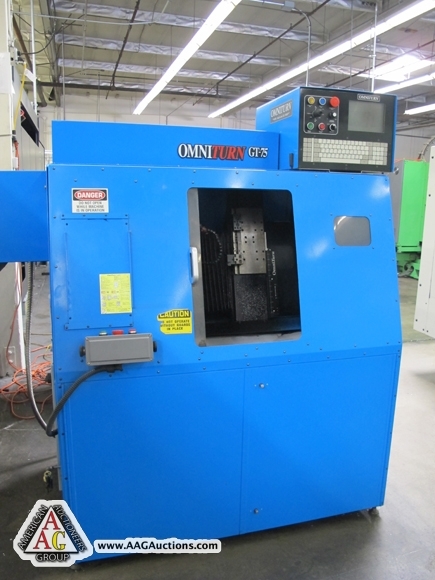 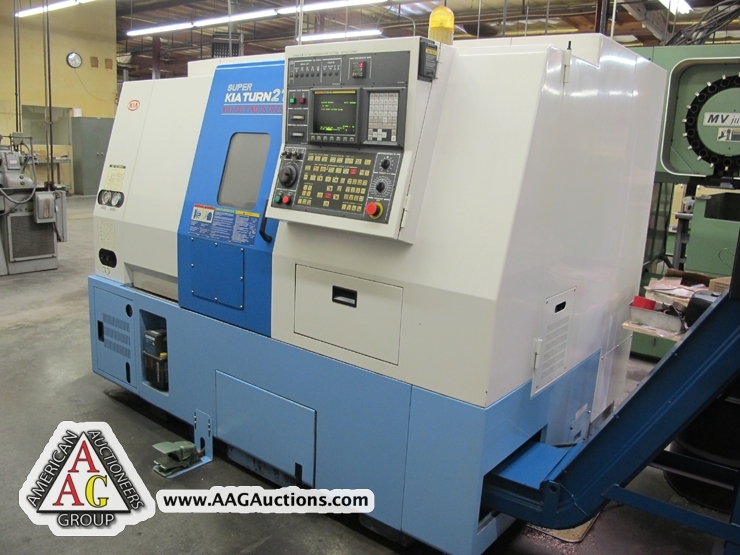 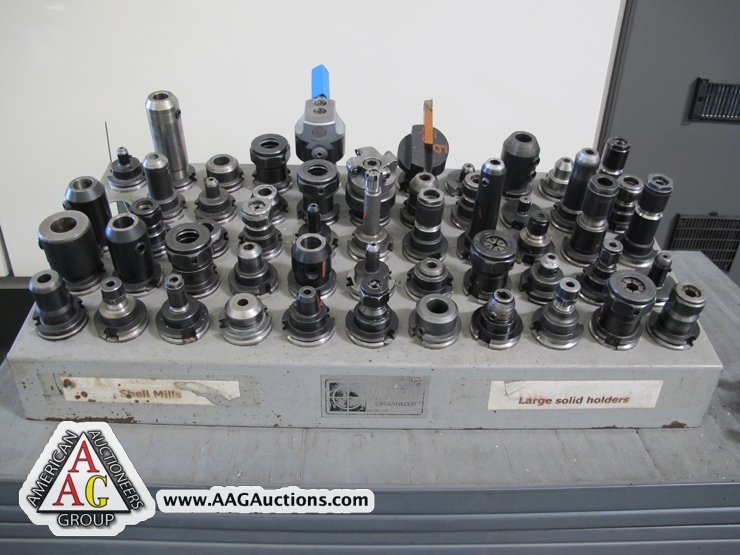 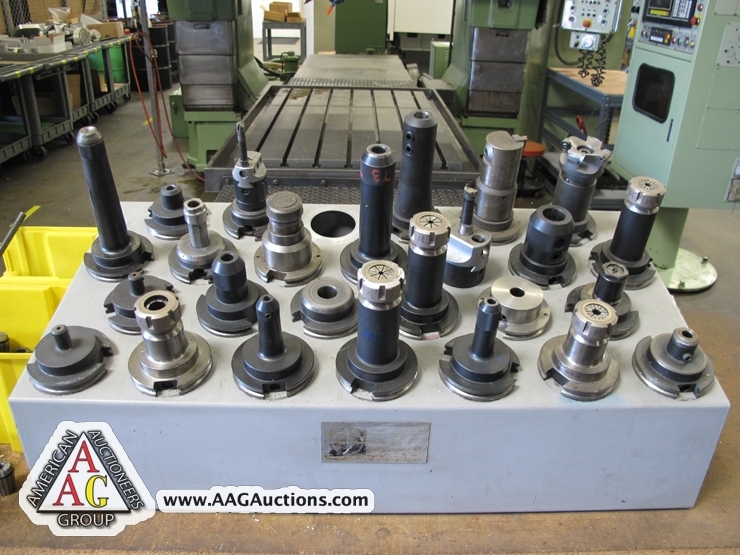 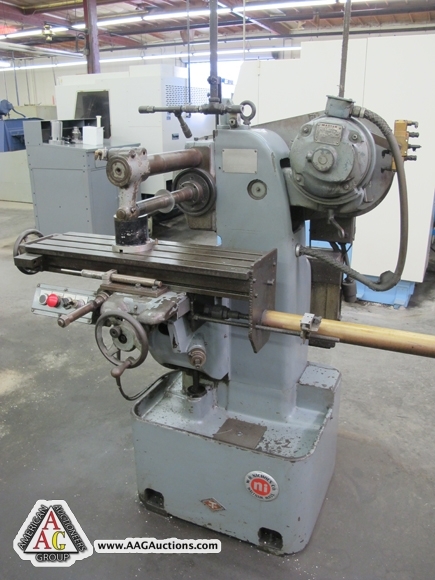 OMNI TURN GT-75 CNC GANG TOOL LATHE, WITH MODEL OT-CNC CONTROL, S/N 2380G34. 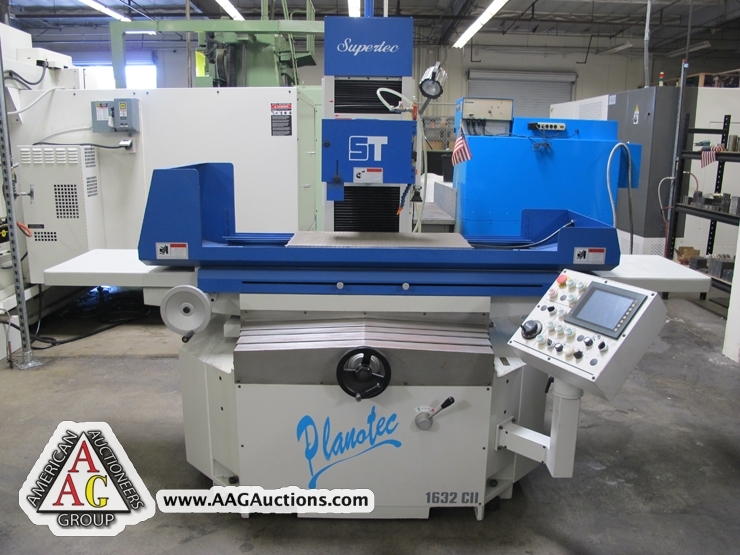 2009 SUPERTEC PLANOTEC 1632CII SURFACE GRINDER WITH MITS PLC CONTROL, 16 X 32 MAG CHUCK, S/N PH07008. 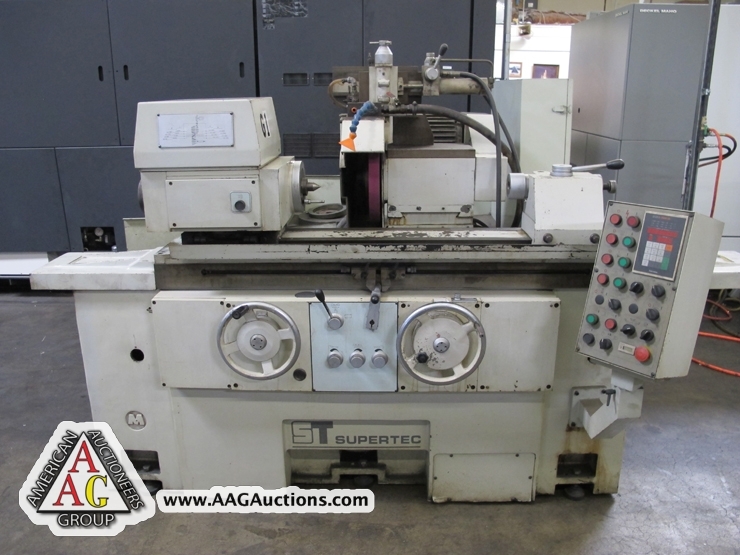 SUPERTEC O.D. 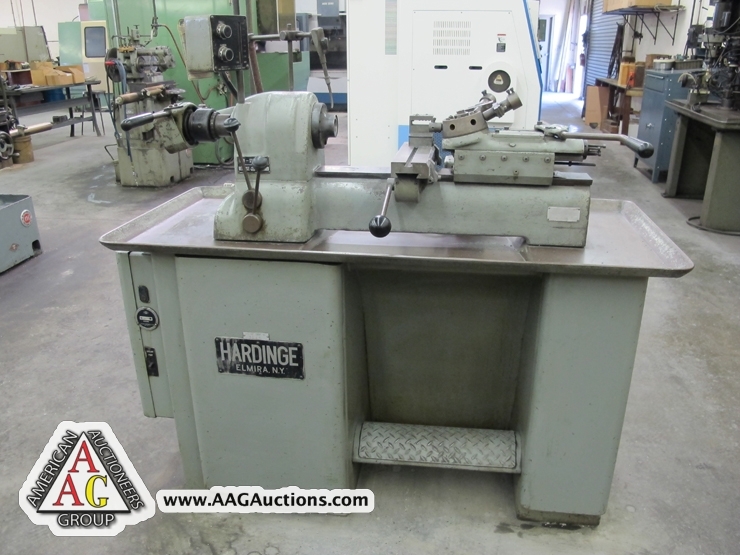 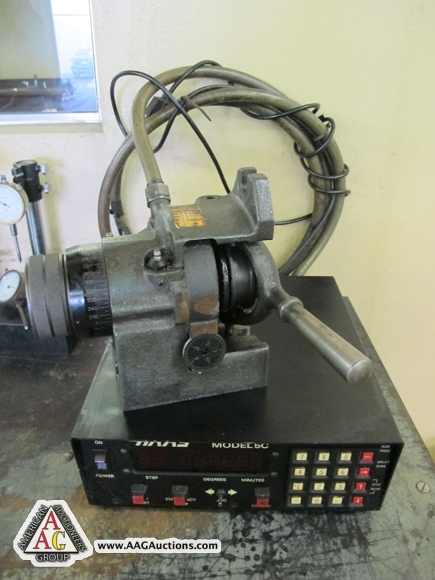 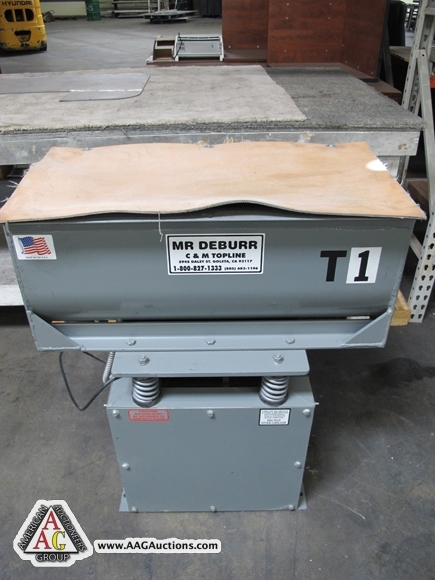 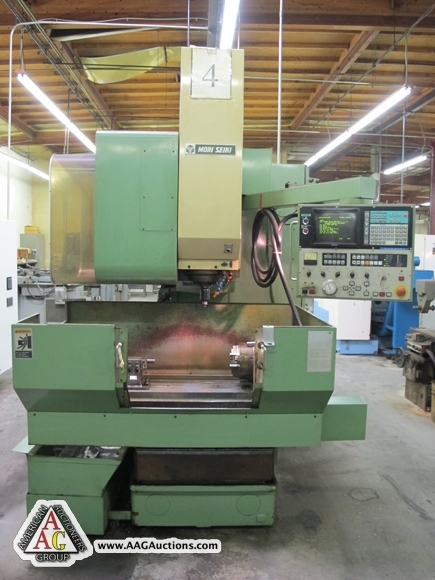 GRINDER WITH MTSUBISHI F2-30GM-DU CONTROL. 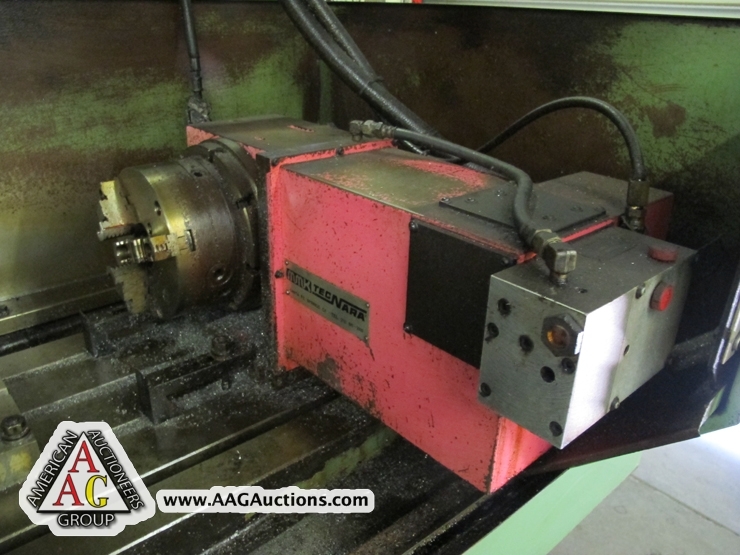 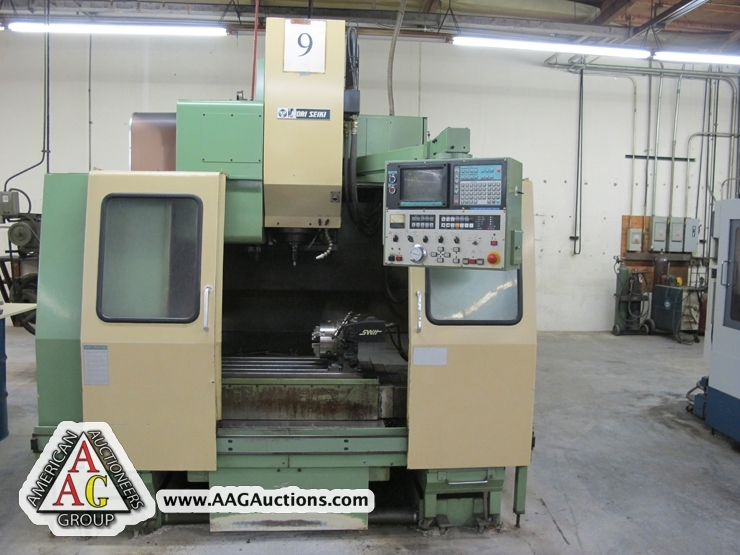 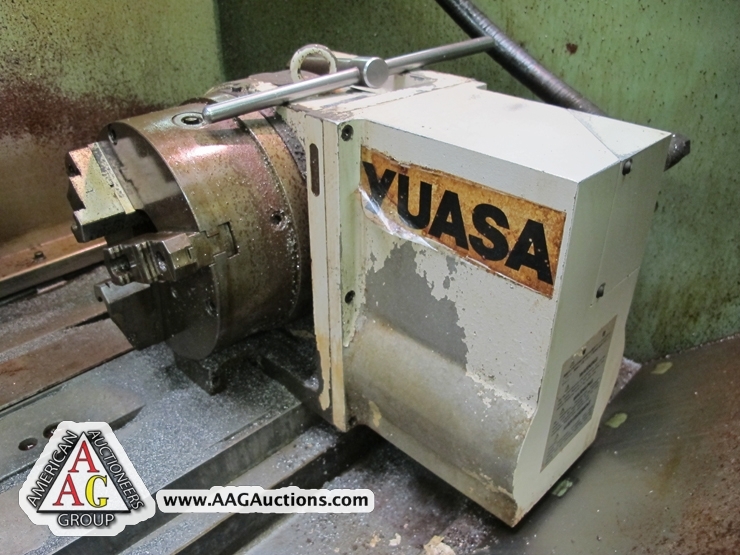 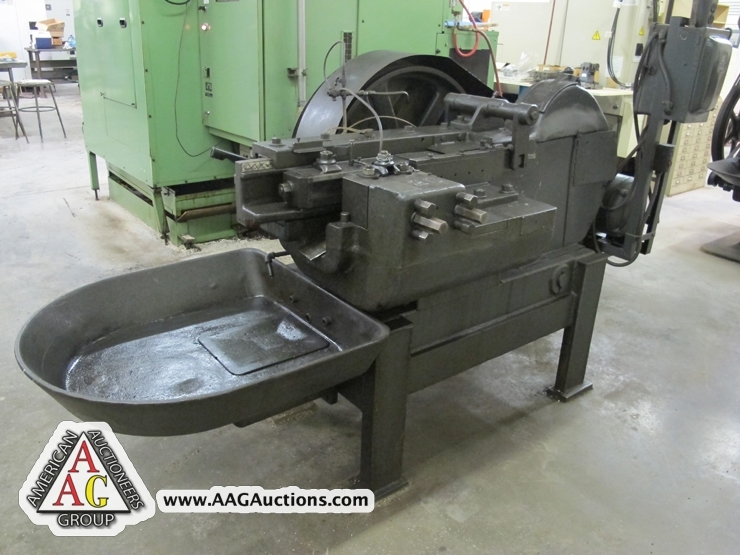 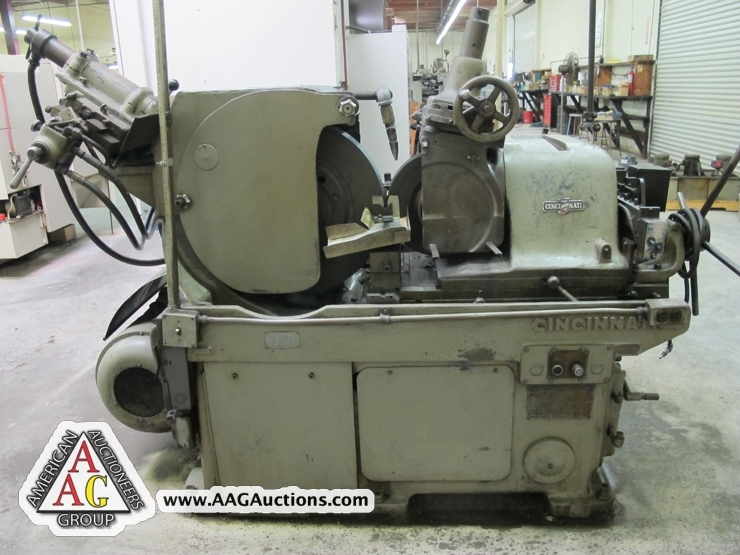 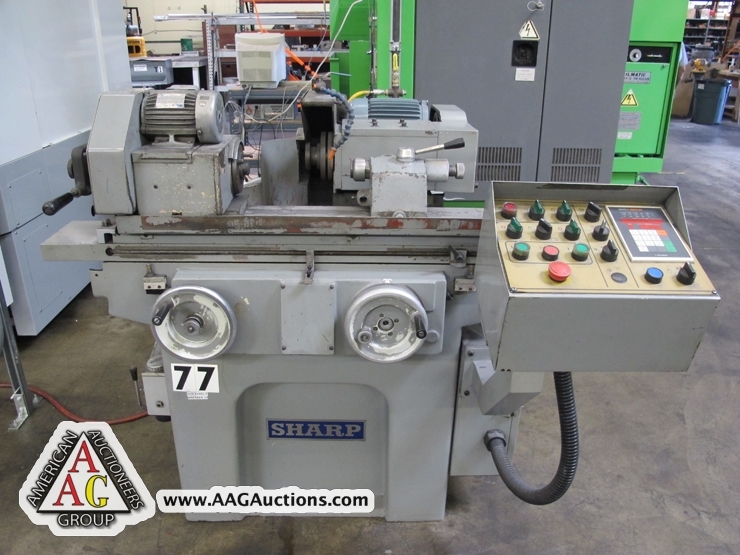 1997 SHARP OD-618P, 6 X 18 OD GRINDER WITH MITSUBISHI F2-30GM-DU CONTROL, S/N 029719. 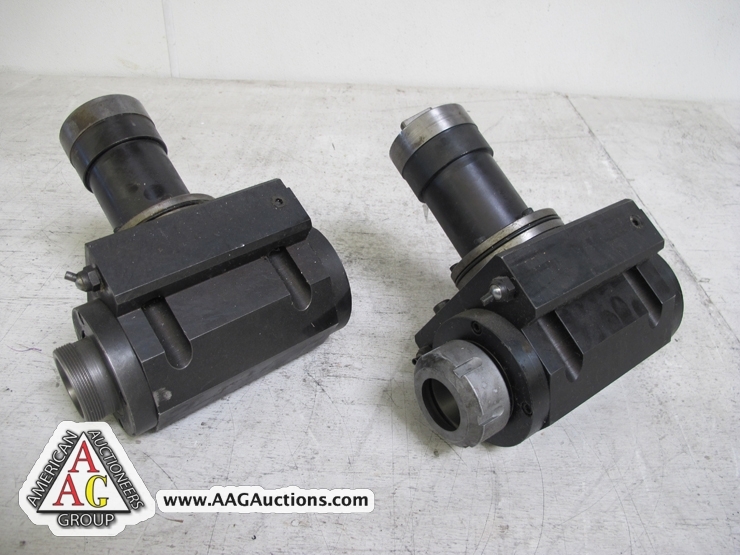 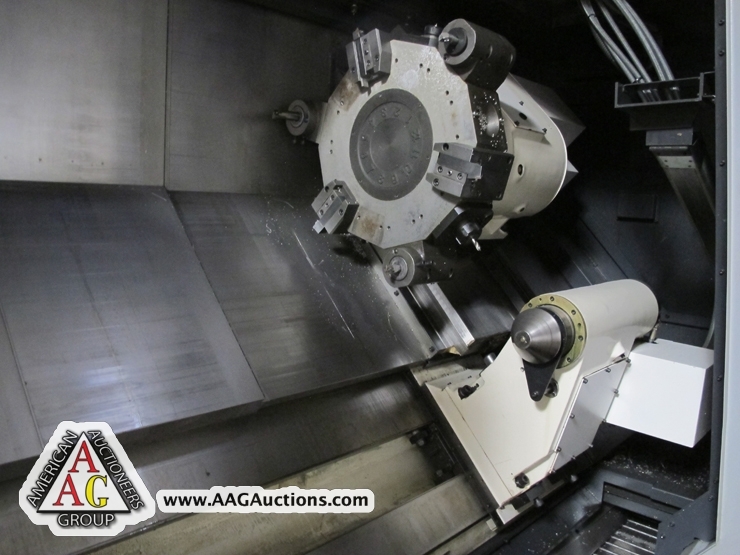 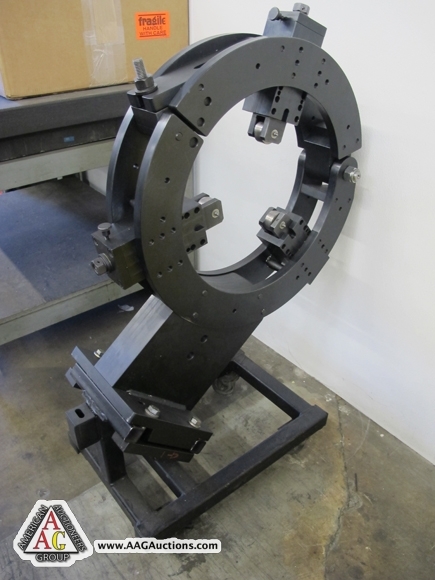 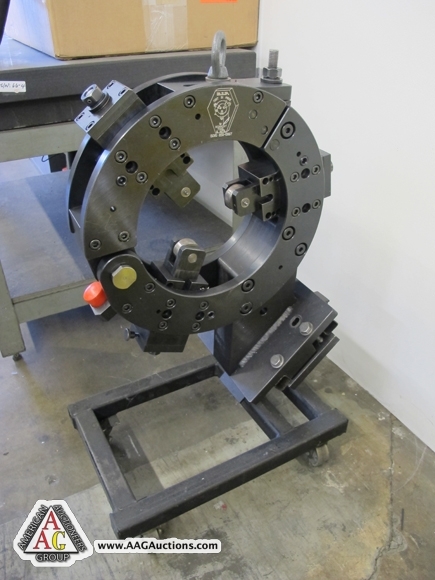 2007 HWACHEON HI-TECH 700 CNC TURNING CENTER, WITH 18’’ CHUCK, LIVE TOOLING, 27.6’’ TURNING DIAMETER, WITH 35.4’’ SWING OVER BED, 78.7’’ MAX TURNING LENGTH, 12 POSITION TURRET, 5.19’’ THRU SPINDLE HOLE, FANUC 18i TB CONTROL. 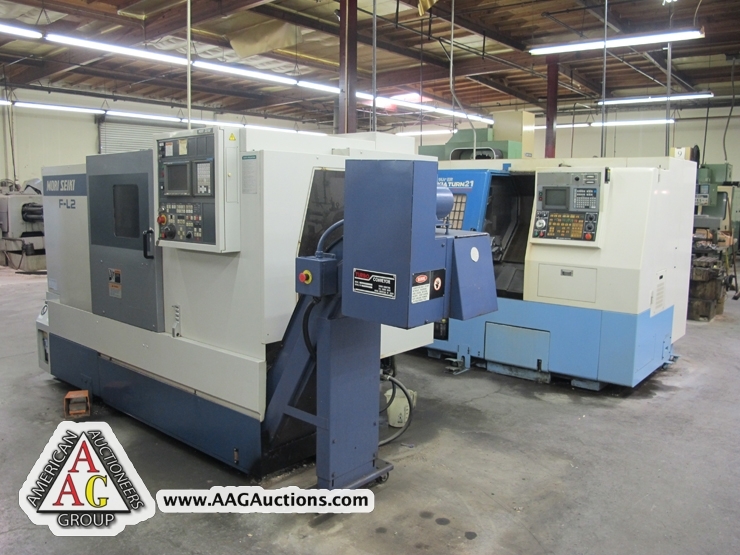 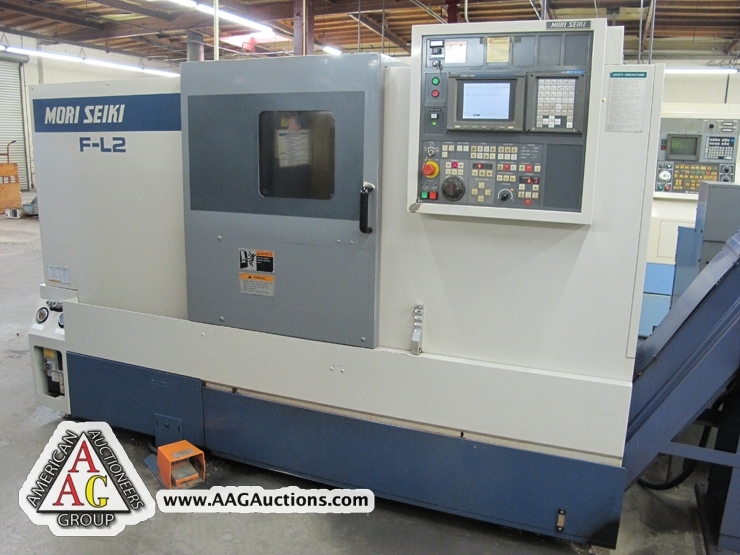 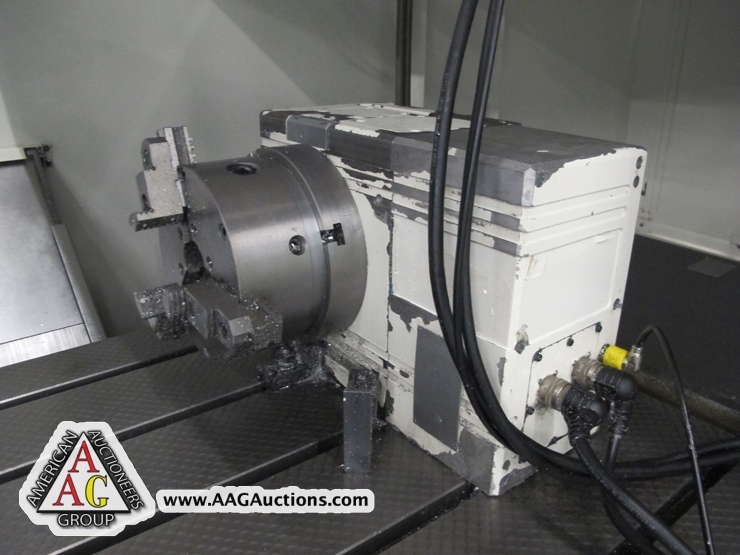 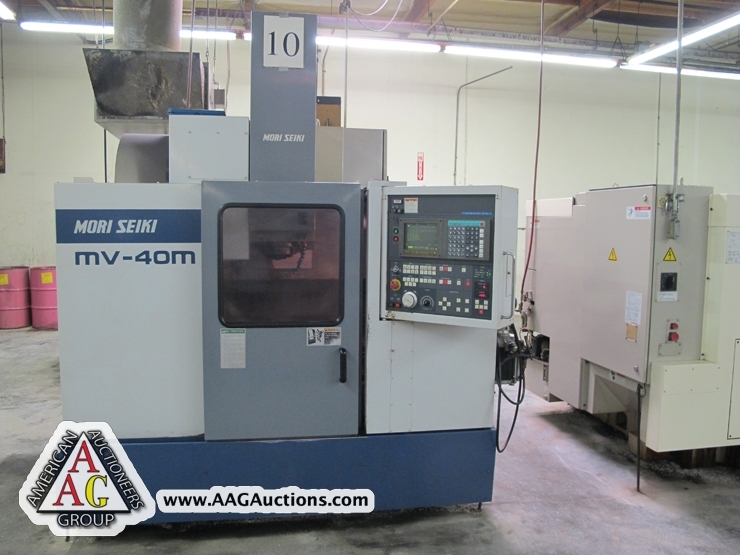 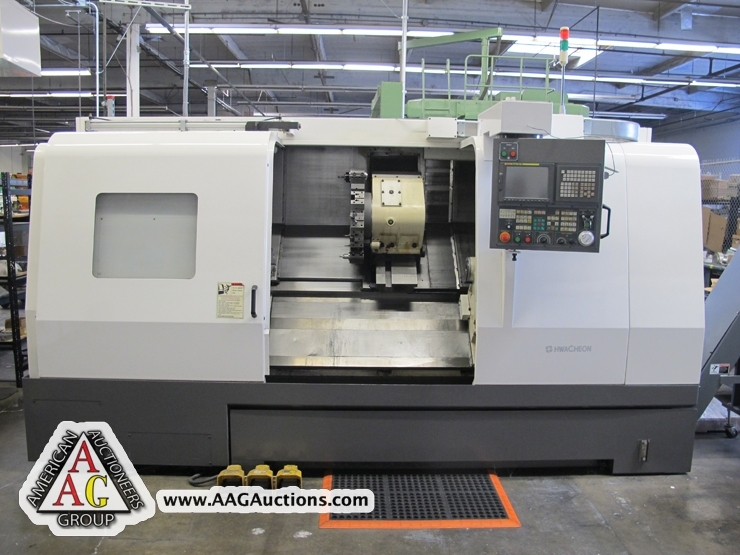 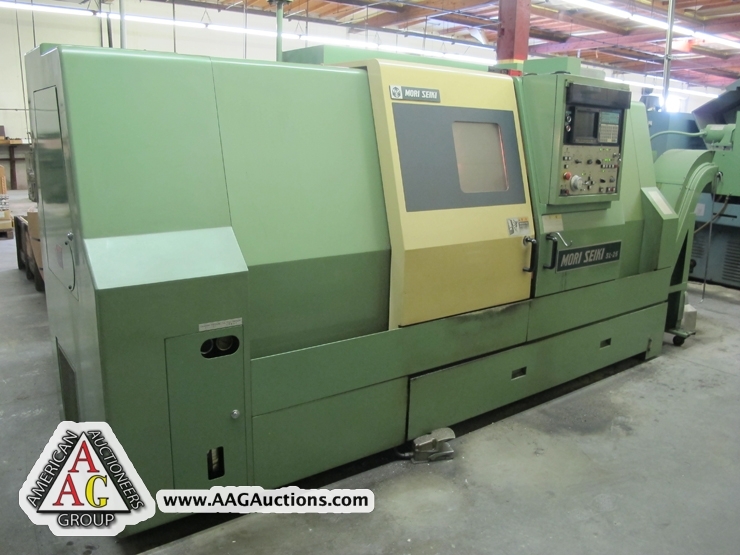 2005 HWACHEON HI-TEC 300 CNC LATHE, 10’CHUCK, 31.5 CENTERS, FANUC 18iTB CONTROL. 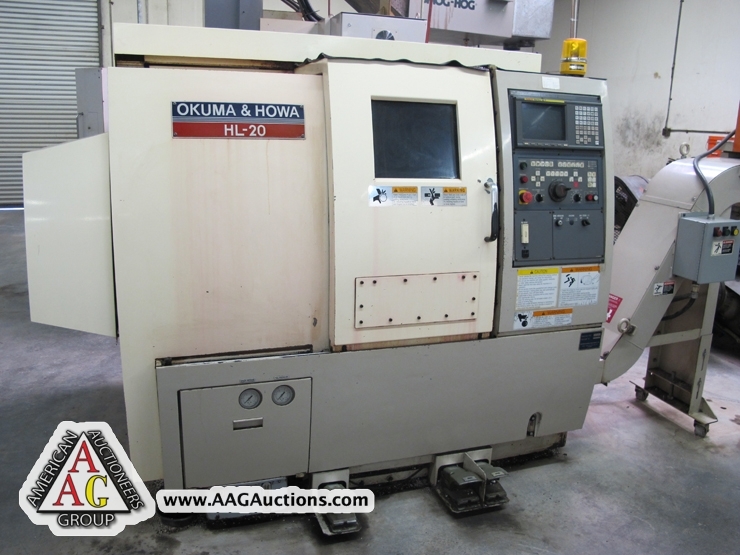 OKUMA MCV-A VMC, BRIDGE TYPE CNC, 40’’ X 70’’ TABLE, QUILL SPINDLE CAT-50, 24 ATC, OSP 5000 M CONTROL. 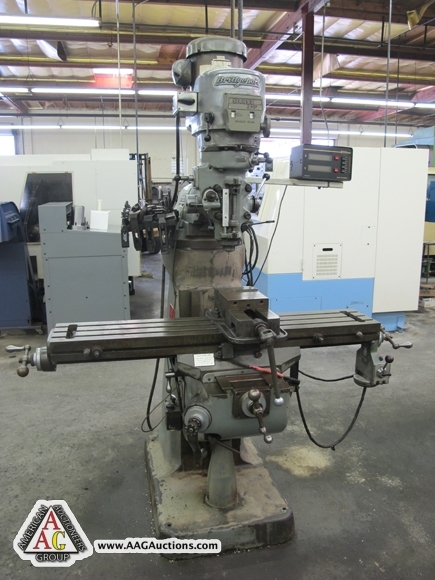 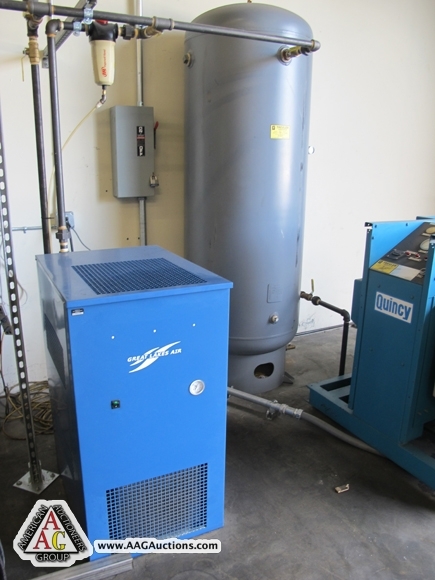 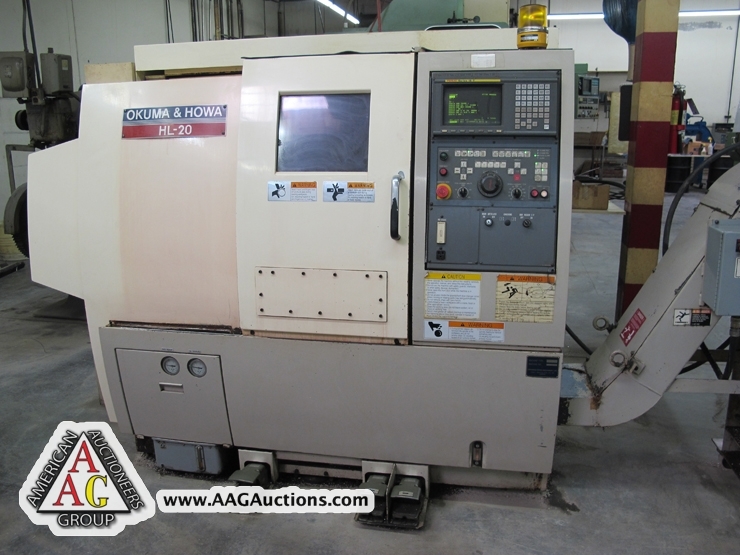 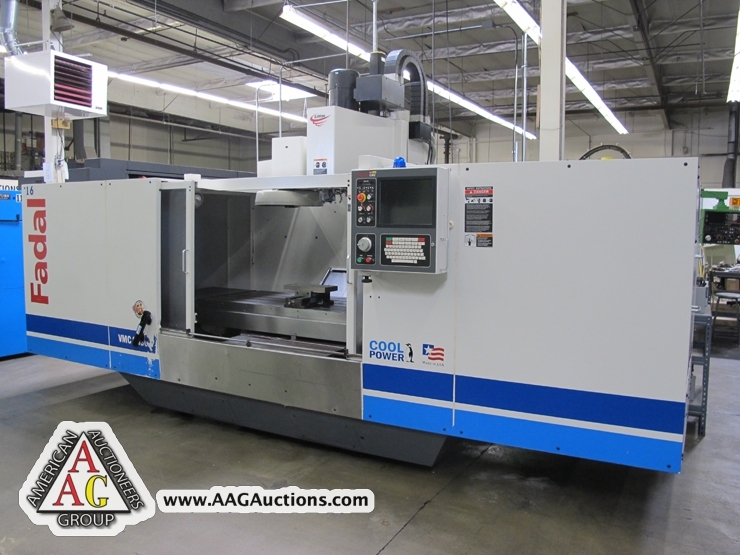 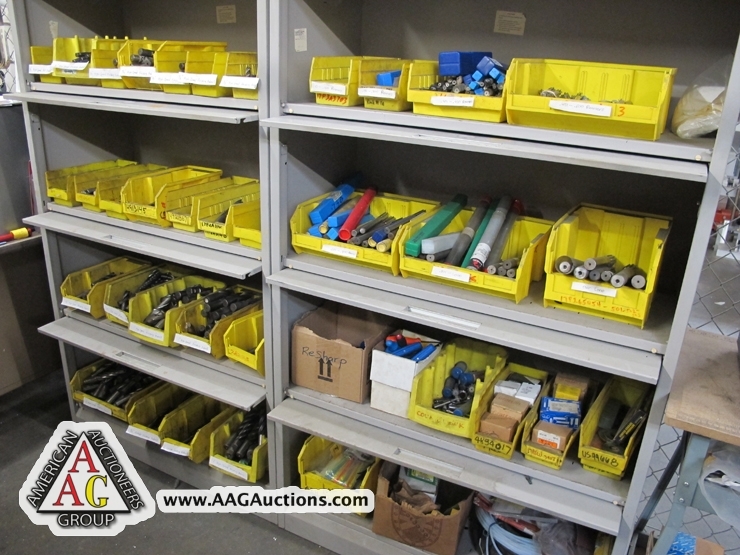 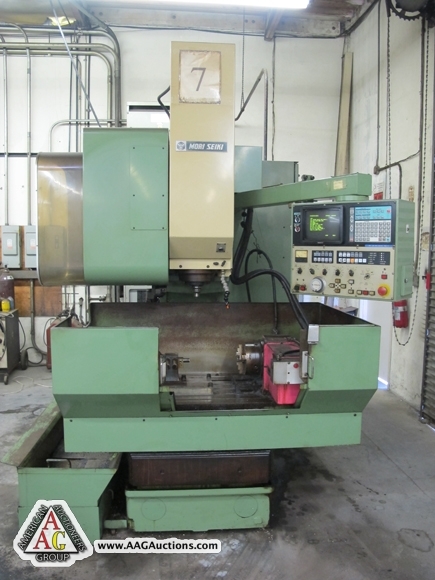 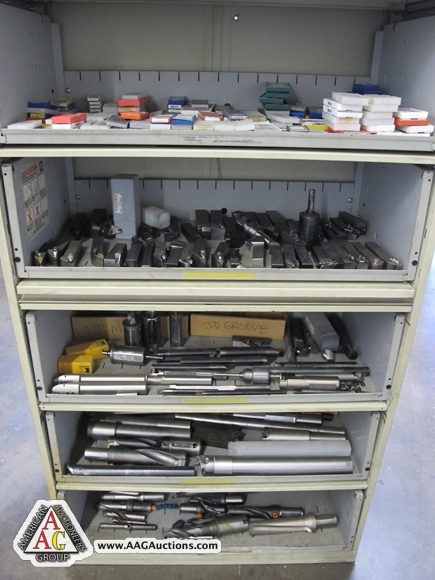 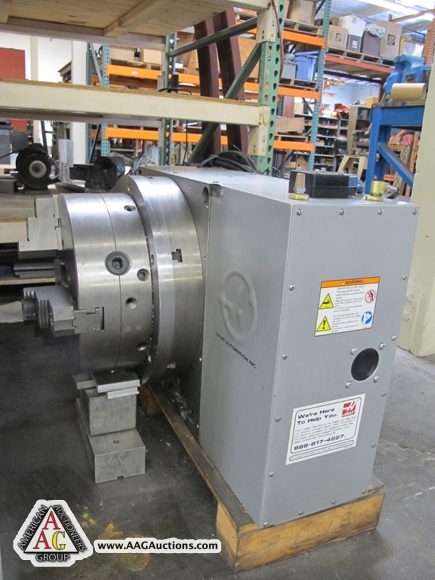 2005 FADAL 8030HT CNC VMC, CT-40 TOOLS, 15,000 RPM, COOLANT THRU SPINDLE, 80’’ X 30’’ X 30’’ (XYZ), 20 ATC, S/N 032005098169. 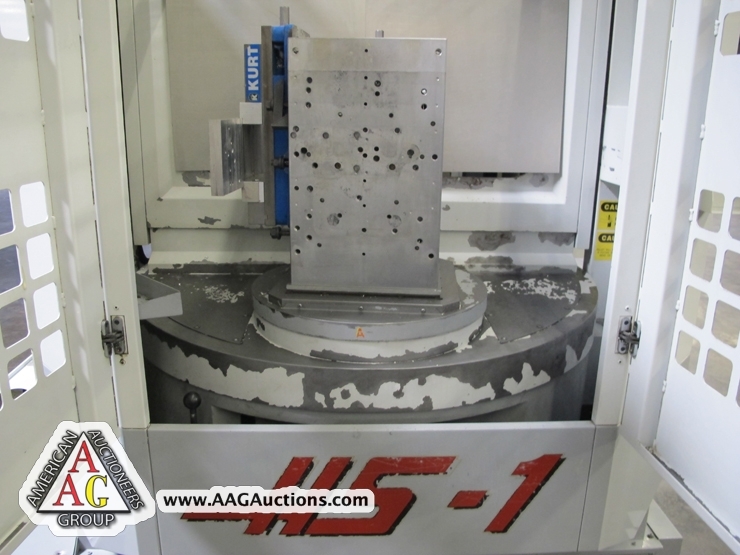 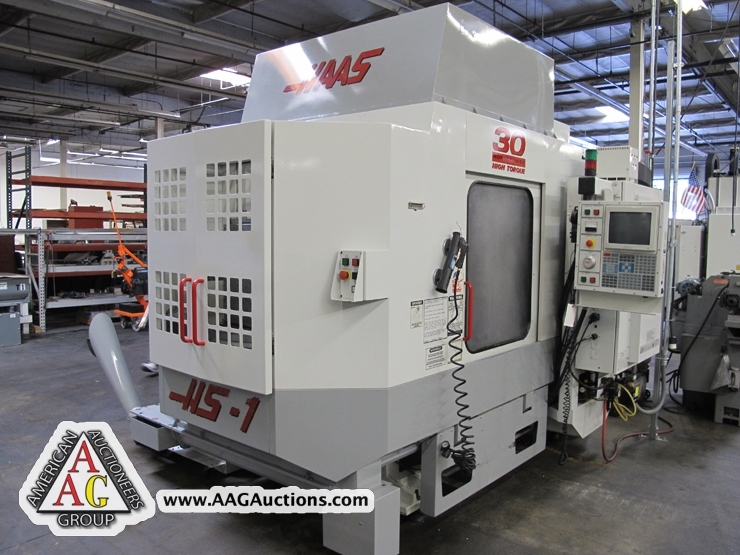 1999 HAAS HS-1 HORIZONTAL MACHINING CENTER, 2 PALLET HI TORQUE, 30 HP, 30 ATC, CT-40, 30 ATC, 4TH AXIS EQUIPPED, S/N 50747. 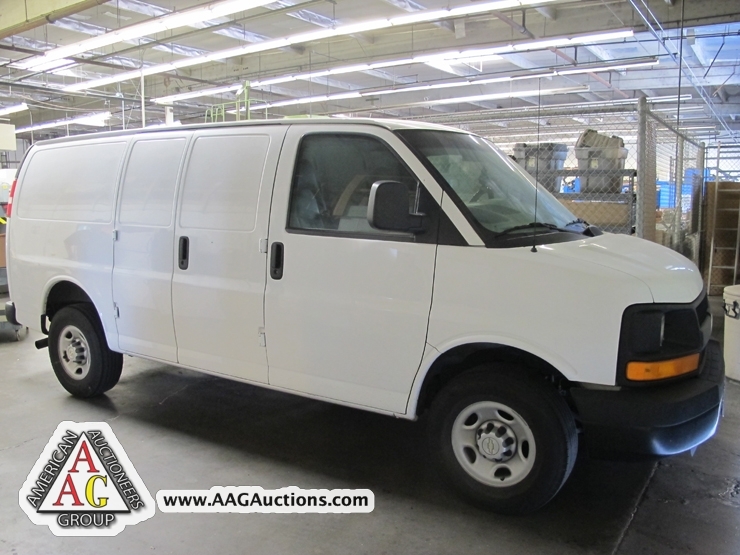 2008 GMC VAN WITH 71,000 MILES, GAS, AUTO. 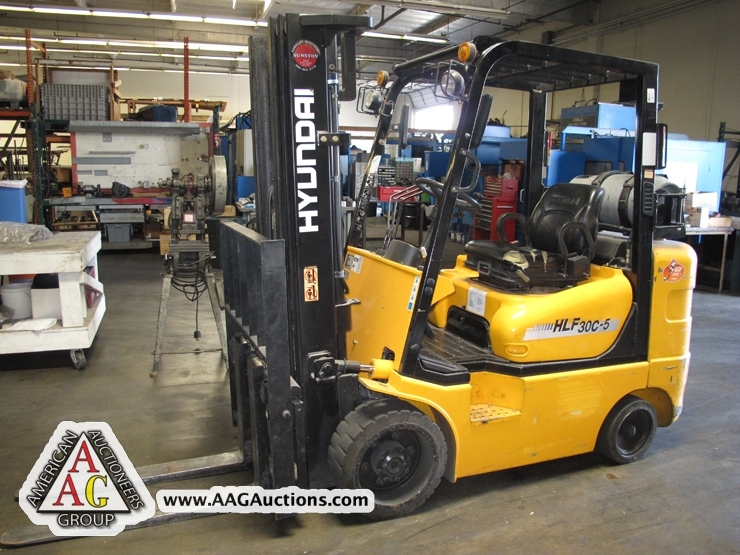 HYUANDAI 30C-5, 5000 LB LPG FORKLIFT, WITH SIDE SHIFT. 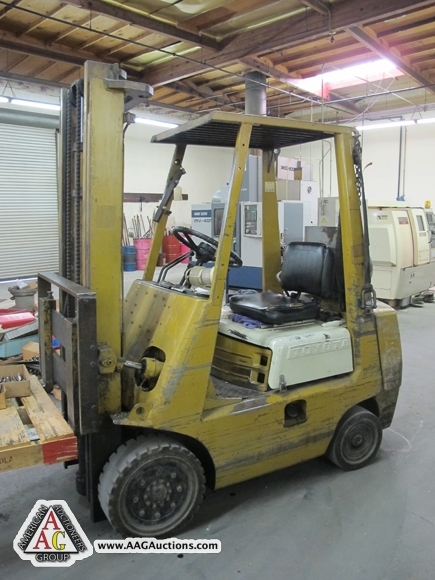 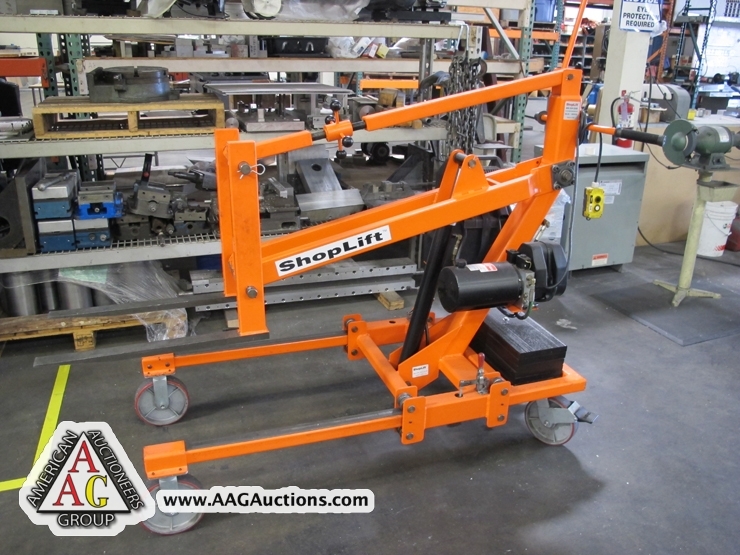 2) SHOP LIFT ELECTRIC FORKLIFTS.